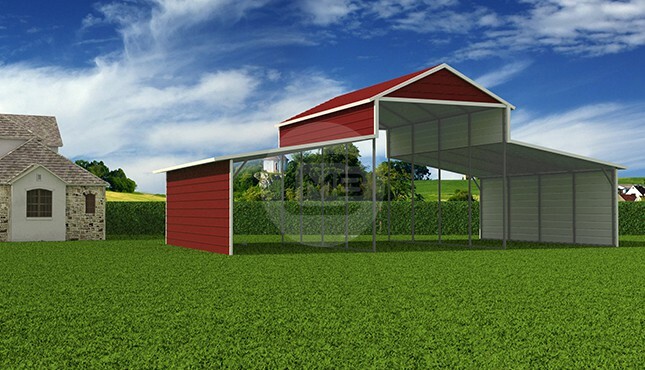 This is one of the most popular and highly recommended Raised Center barns for usage. It is all in one deluxe barn having 42′ wide by 36′ long by 13’ tall and center raised. 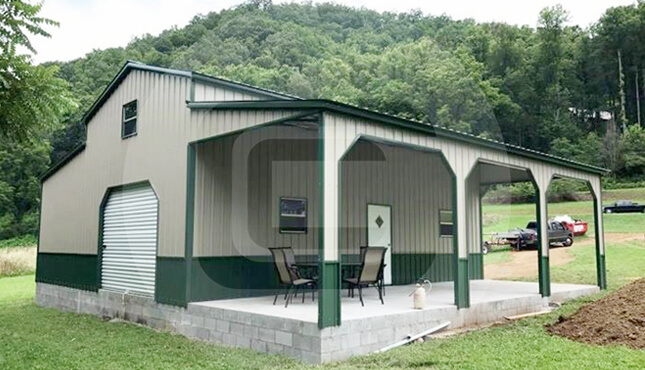 A step down lean to style barn, center section which is fully enclosed with vertically oriented panels for both sides and ends, has (1) 12×12 metal roll up door (3) windows and (1) walk in door. On the inside of the barn, there are (3) framed out openings for easy access to the lean to. 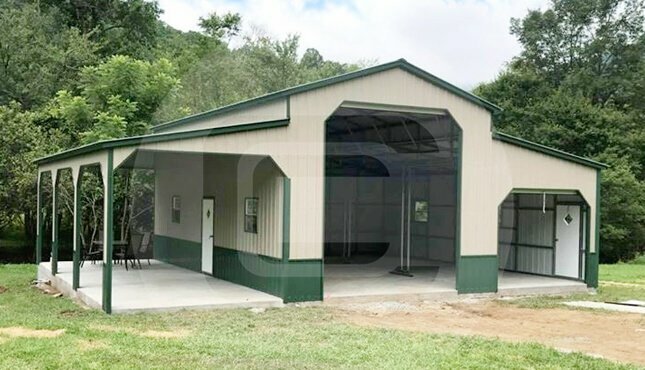 The right side lean-to of this custom barn is also fully enclosed with (2) 9x8 metal roll up door, (1) walk in door and (2) windows on the front wall. 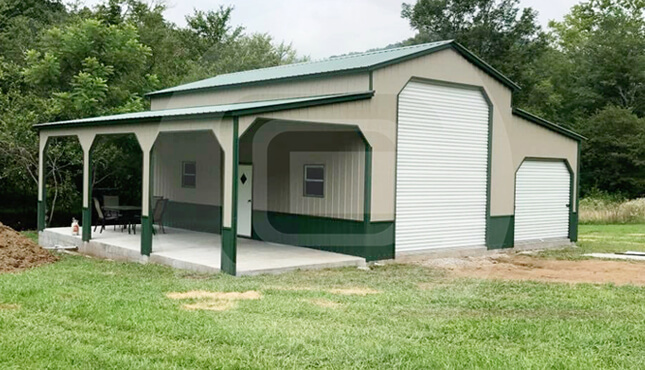 The left lean-to of this Raised Center custom barn is open with vertical gables on both ends and (3) side frame outs with 45 degree cuts. Its center and right side lean is completely enclosed and the left lean is open with vertical gables, on both ends. 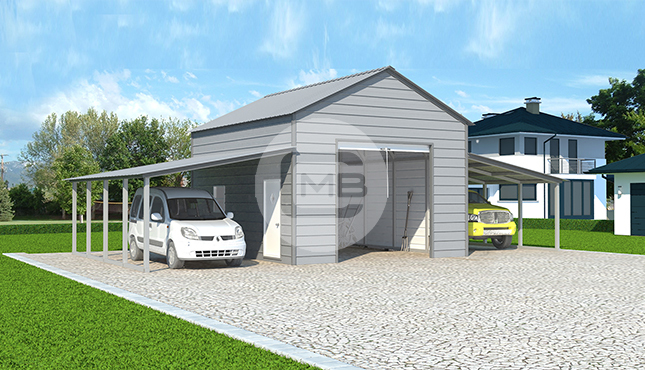 It is extremely useful as heavy vehicle parking, carports, boat parking, animal barns and storage structures for un-threshed cereals. 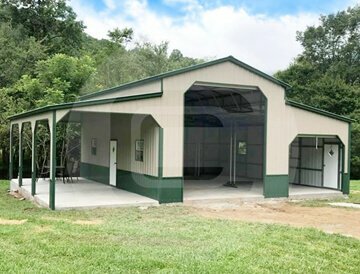 This barn does include the vertical deluxe two toned package  All the panels vertical with a wainscot.